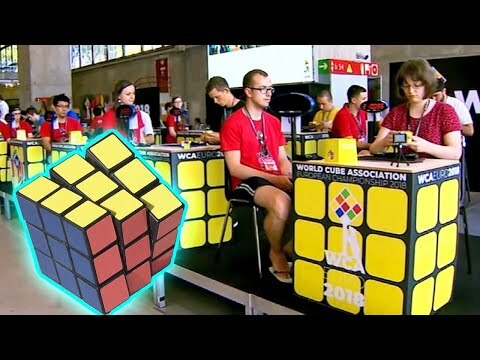 These are the top Rubik’s Cube players in the world, competing at the World Cube Association European Championship in Madrid. The Rubik’s Cube, originally called the Magic, was invented by Erno Rubik in 1974. More than 600 participants showed up from 48 countries to solve the puzzle in various ways: With feet, others with their eyes closed, and some with different types of cubes. InsideEdition.com’s Keleigh Nealon (http://twitter.com/KeleighNealon) has more.